Internationally recognized as one of today's most important and pioneering landscape and interior designers, the Dutch designer Petra Blaisse continues to define new and increasingly ambitious roles for landscape and interior design. In contrast to architecture's static and immutable severity she devises flexible and flowing solutions that interconnect interior and exterior. Her designs are often poetic and colourful, but they consistently provide astute and elegant solutions to complex technical problems. Petra Blaisse contributes to important projects in Europe, Asia and the USA both as an independent designer and in association with urban planners and architects such as Tim Ronalds, SANAA/Kazuyo Sejima, Macken & Macken, OMA/Rem Koolhaas and Michael Maltzan. 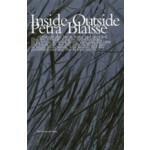 The book 'Inside Outside - Petra Blaisse' provides extensive documentation of key projects, features the designer herself in conversation with the editor Kayoko Ota, and includes essays by a range of experts, making it an indispensable source of inspiration for architects, engineers and designers, as well as providing a new impulse for the whole field of architecture. 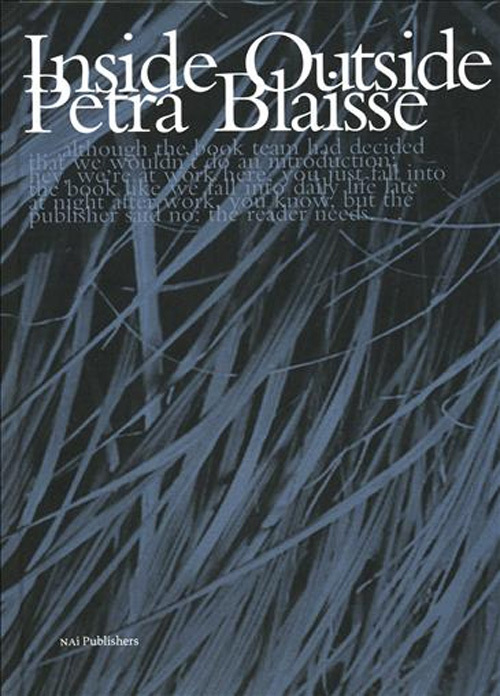 The first edition of the book ''Inside Outside - Petra Blaisse'' sold out within a few months, so nai publishers released a second edition of the first overview of Blaisse's broad spectrum of work, presented in the same stunning book design by Irma Boom.